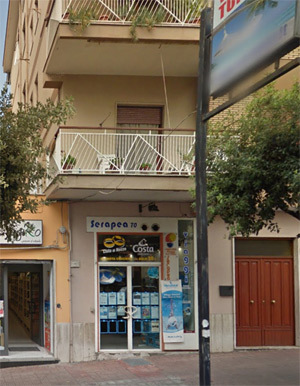 The SERAPEA VIAGGI was born in 1981 and since 1981, organizes and offers logistics service for groups and individuals, in Italy and abroad. In Italy for groups stays: thermal, congress, cultural, gastronomic and seaside; We program: castles and historical buildings, sporting events, cultural and folklore events. Numerous are the restaurants we reserve, with tourist menus or traditional Italian cuisine. We organize wine tours, visiting with tastings: wine cellars and cheese factorie ... such as the "Mozzarella di bufala", itineraries in Chianti, Franciacorta, Sicily or for example "shadows and ghosts" in Venice. In the winter season, among our top products, we point out: special packages for Christmas, Easter and various events such as Carnival, river and lake navigation, Wellness Packages in SPA Facilities; snow holidays in the largest ski resorts in the Italian and French Alps, individual tours and trips to lands and far islands.